I haven't done painterly stuff in quite a while. This didn't have the best technique perhaps - a lot of random experimentation, and redoing bits until they worked. It's also not even high resolution... but I still like how it turned out. 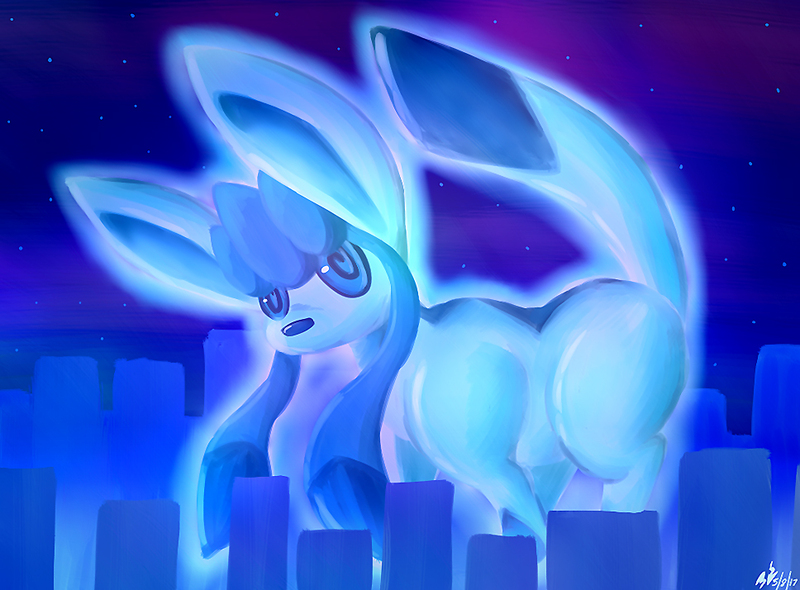 Besides Pokemon you could also call this Nystre fanart, as as of writing they're a giant glaceon. That mood may be slightly infectious.